In May, NVIDIA introduced the world to the GeForce GTX 1080 – the fastest single GPU on the planet. After the initial ‘wow’ factor, people soon came to realise that the vanilla ‘founders’ editions cards were very good but you were paying over the odds with an ‘early adopters’ tax for a product without any bells and whistles. 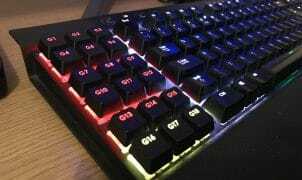 For the tech savvy among us, we knew that the this would be a good time to wait until June for the ‘true’ GTX 1080’s to arrive on the scene – the customised aftermarket versions from various vendors sporting an array of exotic cooling, RGB lighting and other high-end features. 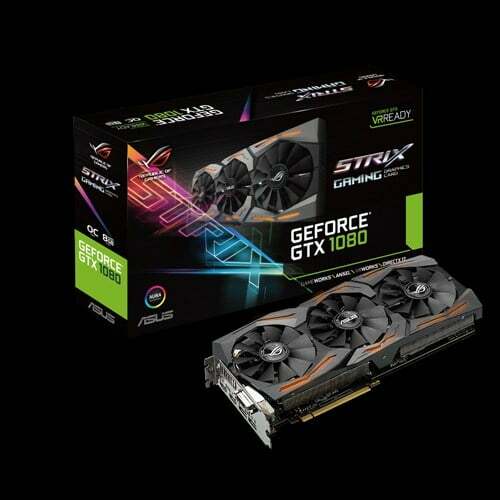 Introducing the ASUS ROG Strix GeForce GTX 1080 – possibly one of the most anticipated aftermarket GTX 1080’s that we’re sure many folks will consider investing in. The HAF-X is ancient. Cases have come a long way over the years and personally I don’t understand why you would even test in a HAF-X. I wouldn’t call the HAF-X ‘ancient’ – it is a high-end gaming case from 2011 with excellent airflow and should have plenty of space for most GPUs. Unfortunately our budget isn’t endless and we couldn’t just rebuild our test system for the purposes of the review. This section in the article was included more of a highlight to check your case as the card’s width extends beyond a ‘standard’ PCI-E card’s regular dimensions; especially with certain motherboards. Our budget is non-existent! I too “HAF” *chuckle* a HAF-X and it should be more than up to the job. My cats can sleep in the case for God’s sake.